This dessert is one of my all-time childhood faves. 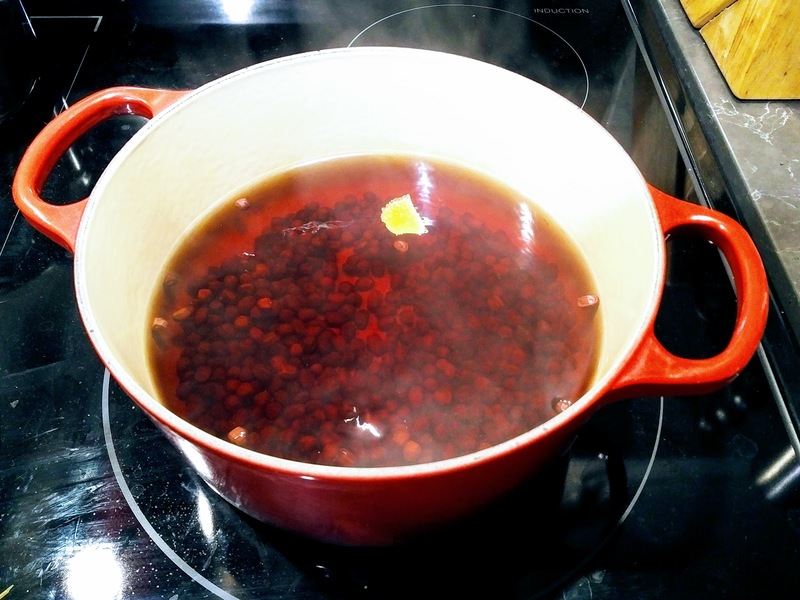 In a large pot, boil the water and add the red beans and orange peel to the pot. 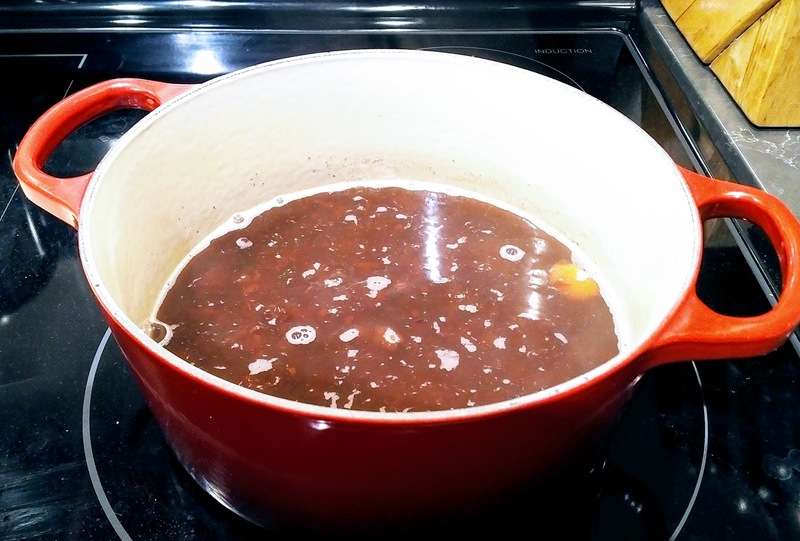 An enameled cast-iron pot like the Le Creuset Dutch oven works well with this recipe. This pot works effectively to trap the moisture in and helps create the grainy, thick texture of this dessert. 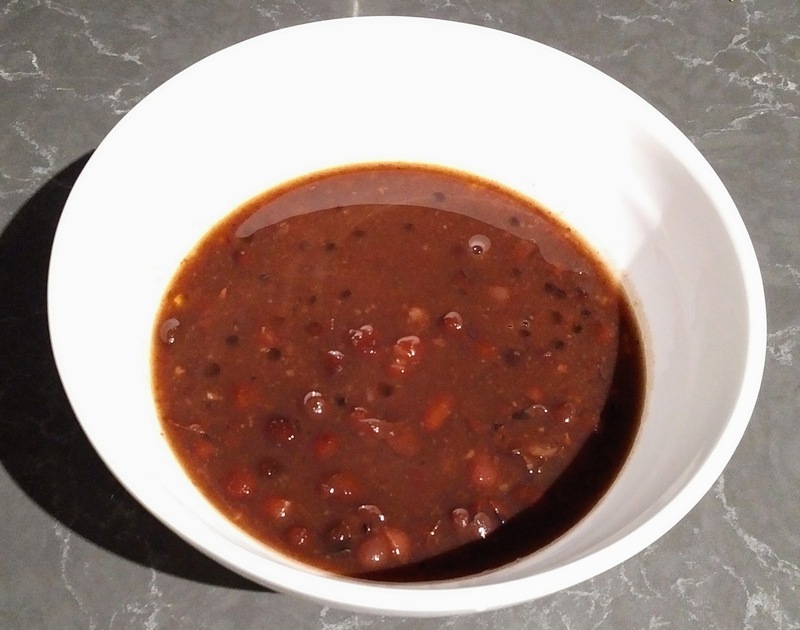 Simmer the dessert over very low heat for 3 1/2 to 4 hrs, until the beans are very soft, falling apart, and grainy. Add sugar, taste and add more sugar to your liking. Serve hot, this dessert can be served cold the next day as well. 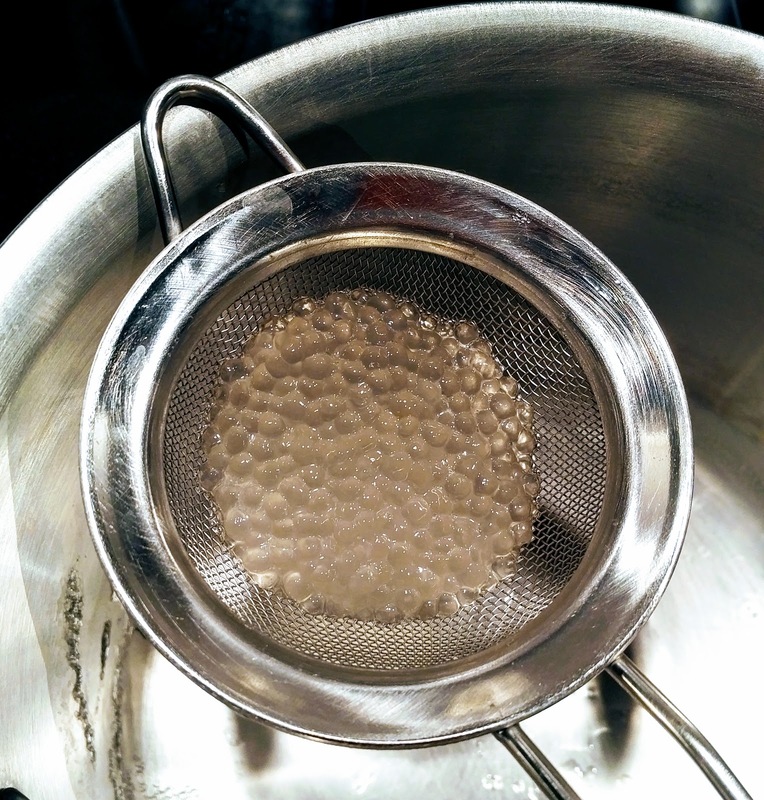 Optional: Cook 3 tbsp small tapioca pearls in a small pot with water for 20 min, until they become translucent. Add to the cooked dessert. Some people add the tapioca directly into the dessert to cook for 20 min, but I find that this leaves starch residual in the soup.